 At Ace Computers we understand that every business is different and therefore the solutions provided to them vary and hence the implementation. We believe in simplifying the network to make them seamless and yet we do not compromise on security is the most noteworthy fact. How could you protect the incidents of data loss and data theft in your organisation? What would be the best way to identify potential security leaks on your company network? Do you even need to maintain complex redundant solutions or should you not simply switch over to cloud? The questions being asked today are very valid and seems to involve more complexity to your network. You would however be surprised to know that the solution is just a call away. As a New Delhi-based IT consultancy firm comprised of passionate IT consultants, Ace Computers is well-equipped to advise on any of your concerns or requirements, working with you to propose solutions that are in close alignment with your business goals. There are various IT companies though that address these issues one by one on the basis of issues that comes up but at ace computers we make sure that we always start and sustain to a quality vision which is carried out thoroughly by us as a company and by our support staff as solutions provider. With our extensive experience and trusted solutions we keep our skills up to date with the latest solutions and technologies. We provide IT Consultancy Delhi to our consultants and engineers with training programs to ensure they retain their expertise and build additional knowledge to help our clients.